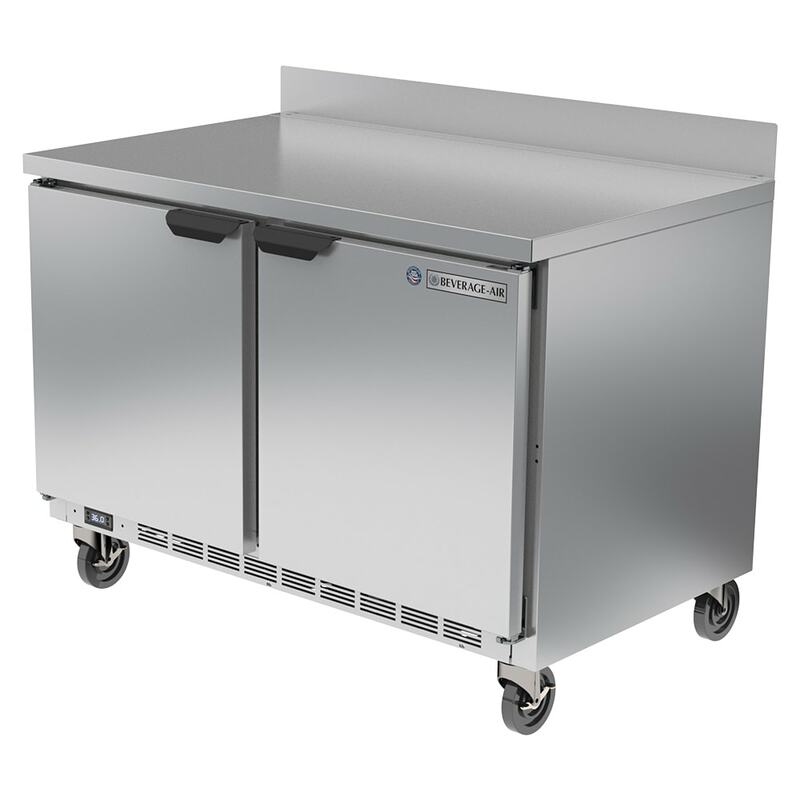 The Beverage Air WTR48AHC worktop refrigerator operates from 36 to 38 degrees Fahrenheit. R290 hydrocarbon refrigerant maintains the cold temperatures and is more environmentally friendly than traditional alternatives. Inside the cabinet, product sits on strong epoxy-coated shelves and an aluminum-lined interior that resists corrosion. When staff members stock the cabinet, its doors stay open past 120 and then conveniently self-close. The included 4-inch backsplash keeps messes contained to the Beverage Air WTR48AHC worktop refrigerator surface. 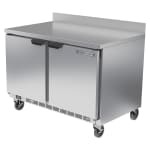 Read more about worktop refrigerators in this worktop refrigerators buyers' guide.